polish fixation: theBalm Nail Polish! Hey guys! I've got another review for you today, of a new to me brand called theBalm. I'm always excited to try out new brands, so I was excited to get these! If you would like to know more about theBalm company, you can visit this page. Let's get to the fun stuff! First up is Magenta Disposition. This is a bright and fun shade of magenta. The formula was very opaque and could probably be applied in 1 coat, though I used 2. I really love how creamy this polish is, as well as shiny (as you can especially tell in that first pic)! Let's Make a Teal is a teal creme polish. I used 2 coats for opacity and the formula was very nice to work with. It's a really pretty shade of teal that I can't get enough of, so I love having this in my collection. Another very shiny finish too! I Take My Coffee Matte & Black is totally my favorite f this bunch! The finish of this polish is incredible! It has a very vinyl look to it that I love! And it was so easy to apply and very smooth! I used two coats and it was not goopy at all like most of my polishes with similar finishes are. This one is a must have! Overall my first experience with nail polish from theBalm is great and I would love to acquire some more of their shades in the future! for sure! 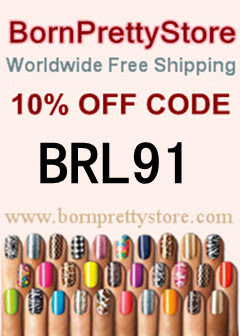 theBalm nail polish retails for $10 a bottle. What do you think of these colors? Have you used theBalm products before? Wow, the finish on these looks really great! Wish they were not quite so expensive. Wow, that black is really cool. And the magenta one is so shiny. Thanks for that review! they're all sooooo gorgeous. Jealous-yes. *drools* i like all 3 but the magenta takes my heart!